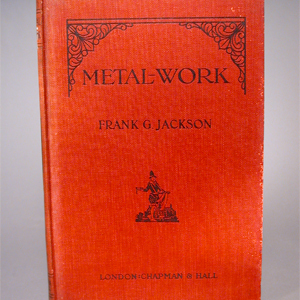 This 1896 book clocks in at 350 pages jammed full of information for the working jeweler and watchmaker. 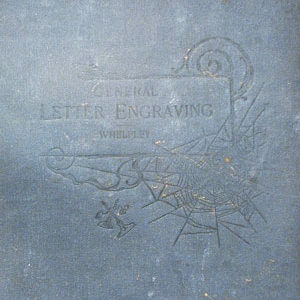 An incredible resource, almost three hundred engraved illustrations and literally hundreds of recipes and tips. 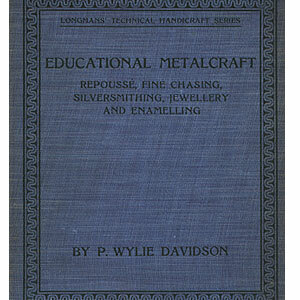 This one is worth its weight in gold: it is a ‘must have’ for any serious goldsmith. The view is of the American entrepreneur, passionate, open to new things, breaking with the European past, embracing new technologies. 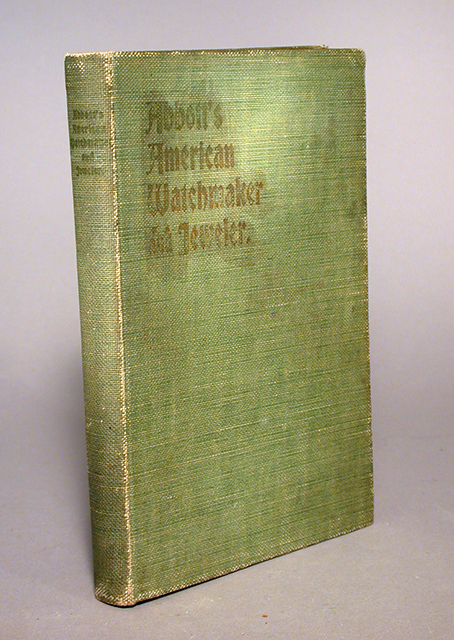 As well, the American watchmaker needed to know a lot about everything, not just watches, as in the frontier you had to be able to fix everything, all sorts of machinery, from sewing machines to optical instruments. 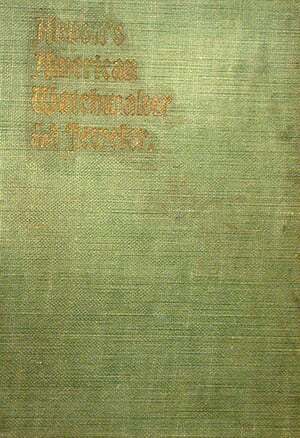 It is arranged in the form of an encyclopedia. 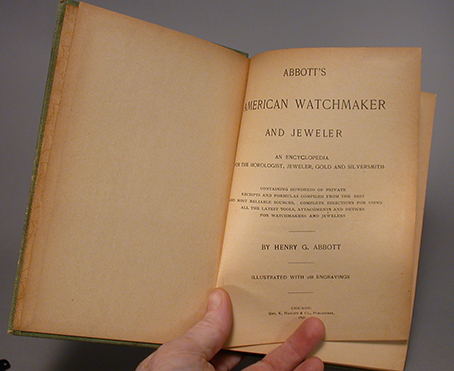 If you are a watchmaker this is a really essential book, for the rest of us it an excellent addition to our library. There is a lot about watches and clocks, but enough extra for a working jeweler. 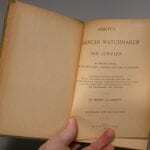 The book is filled, totally filled with tricks, tips, recipes and information that is new again or has been forgotten. Very cool stuff. An example: When using a broach to enlarge a hole vertically stick it through a cork at ninety degrees to the flat end, and now you can make a perfectly vertical hole in the metal. There are wonderful short biographies of important thinkers and innovators in the history of time-keeping, giving an insight into the field. Surprising how much is still the same, and inspiring to glimpse passionate lives. These little stories are scattered throughout the book and make for really interesting reading, illuminating history, giving a sense of the meaning of time, watches and clocks. Lots and lots of alloy information, recipes and constituents, including gold alloys in blue, gray, red, green and various yellows. Many gold and silver substitutes are described. Many hard solder recipes for silver, gold and soft solders are explained in excellent detail. Even an aluminum solder recipe is given. Ok, there is a lot of watch, clock, gearing and mechanical information, most of which is mysterious to me, but there is lots of other stuff that makes the book worthwhile. I would say about a half is watch/clock related. Amongst this is a great deal of excellent information about using lathes, alloys, metal coloring, tools for lathes and more. Ancient water clock design is covered, and I have not seen this information elsewhere. All sorts of ancient clocks, Chinese, Japanese and other culture’s clocks are looked at so this is also a very in-depth history of time and how it was recorded. A whole lot of clock information. As a non-watch person it is a wonderful, exciting understanding of the slow, committed building that humans have done in the timekeeping world. There are odd things, like black porpoise oil being the best for watches. The book is also a glossary, with dozens of terms, tools and names I never heard of. The discussions on time are unique, and philosophical in nature as well as practical. There is a huge section on cleaning and repairing. There are lots of patination and metal coloring recipes and procedures. 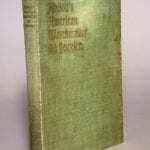 Dozens of patination recipes are described. Tons of glues, lacquers, sealers and metal finishing recipes are detailed. Depletion gilding and pickles are extensively covered. A number are clearly taken from German sources. Polishing methods and compounds are looked at in depth. Polishing compound recipes are fully dealt with. Scratch brushing too. Odd things like renewing chamois cloths are described. There is very good information on electroplating in various metals. This covers batteries, recipes, all kinds of metals and more. Quite thorough. It even touches on electro-less mixtures that plate by rubbing on or dipping. There is a section on testing metals and making testing solutions to identify silver, various golds and more. Hardening and tempering is addressed deeply and in detail, with many odd tempering materials and media. 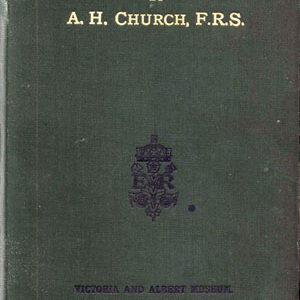 This book is very interesting, has lots of information, and is really worth having in your collection.